Valentine’s Day can create an awful lot of pressure to come up with the perfect restaurant, flowers, and gift. On the night, a lot of time will be spent trying to find parking, waiting for your reservation at a fancy (and expensive) restaurant, or trying to get the waiter’s attention. Why not think outside the box and create a sense of adventure, excitement, and a thrill, all the while showing off your creative side at one of the top attractions in Gatlinburg? Book a pair of tickets to the mountain coaster in Gatlinburg and add something totally unexpected to your date. You are probably thinking something along the lines of, “Really? A roller coaster? Doesn’t exactly scream ‘romance’!” Indulge us for a moment and we might just convince you. 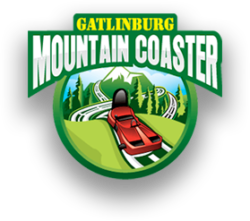 Start your date with a surprise before dinner as you pull into the mountain coaster in Gatlinburg, rated as one of the top attractions in Gatlinburg. Use your pre-paid tickets from our website to head straight for the lifts. As you ascend, the famous Gatlinburg lights will spread out below you as the Smoky Mountains, which might just be dusted in snow, unfold in every direction. As reach the top of the lift, a deep breath of crisp mountain air will send a shiver down your spine, so you pull your valentine close for a hug. Laugh after a kiss in the cold, and get ready to descend the mountain in one of our two-person carriages. 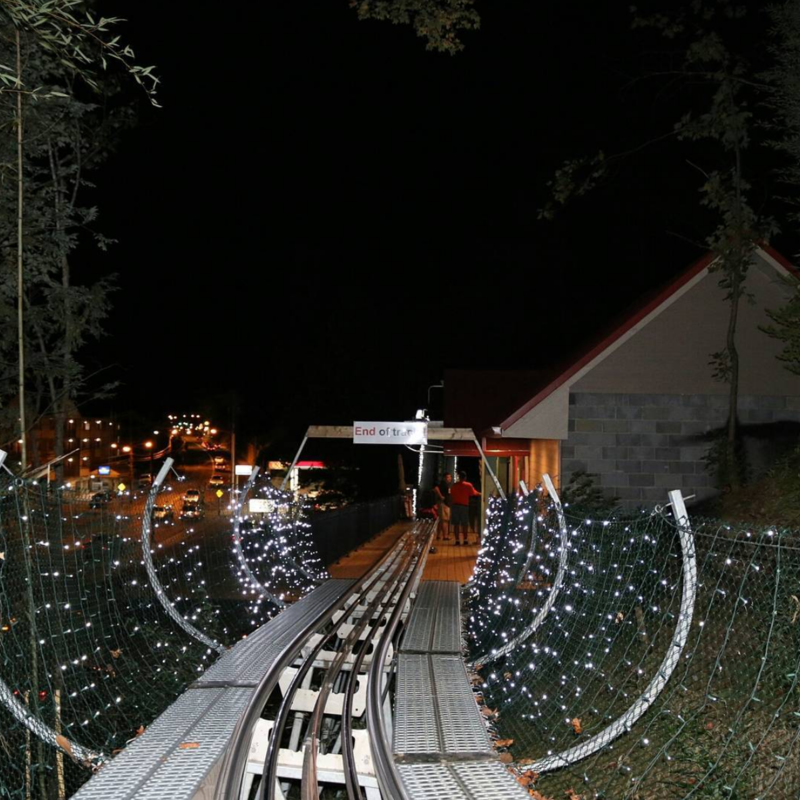 Before you know it, you are speeding downhill through our tunnel of lights. As the adrenaline kicks in, keep your hand away from the brake and hold your sweetheart close to you instead. The track turns into a channel of lights twinkling like diamonds between sudden stretches of night sky. By the time you reach the end, you will have eclipsed speeds of 30 miles per hour, which is a lot faster than any of the Valentine’s night traffic in your town! We capture every carriage on camera, so you can bring home a memento of the two of you cuddled together on the mountain coaster in Gatlinburg. One of your most fun and unusual dates is sure to be a conversation starter. If you were thinking ahead, you could allow a little extra time after the ride for a cup of something hot, or you might find the experience too fun to enjoy just once. A bonus ride is half price and gives you a reason to hold each other tightly again. Add in some boutique shopping, arts and crafts demonstrations, or something else fun afterward. Then, finish off a Valentine’s Day to remember with a romantic dinner at one of the many options in Gatlinburg. Pull some strings and arrange another surprise at the table, like flowers, a special dessert or, perhaps, something sparkly. Well, what do you think? Our guess is that your special someone would be thrilled with such a fun and memorable evening, so book now!